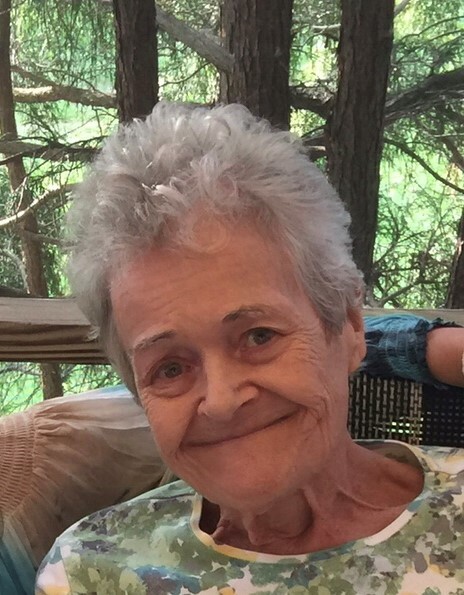 Mary Lou Ossmann, age 77, of Morrisville, PA, passed away peacefully on Tuesday, February 12, 2019 at St. Mary Medical Center, Langhorne, PA. Born in Port Chester, NY, she has lived in Morrisville for over 55 years. Prior to her retirement, Mrs. Ossmann was employed as an executive secretary in the Pathology Department of Mercer Medical Center in Trenton, NJ for over 35 years. She was a graduate of Vermont Jr. College in Montpelier, VT. Mary Lou played volleyball in college and later coached girl’s softball in Morrisville. She enjoyed playing cards with friends and various card groups, cooking, dancing, photography and watching movies. Mrs. Ossmann was an avid reader, and also loved to go to the casinos, especially Atlantic City with her late husband. She was also a member of the Morrisville Senior Service Center. Daughter of the late Leonard P. and Mary Olive (Cramer) Bisceglia, wife of the late Charles J. Ossmann, Jr., and sister of the late Leonard P. Bisceglia, Jr. and Frances Biseglia, Jr., she is survived by two daughters and a son-in-law Connie L. Evans of Harleysville, PA and Kelly A. and Richard Stintsman of Morrisville, a sister and brother-in-law Connie and Andrew Lawler of New York, NY, five grandchildren Anthony and Matthew Cookson, Casey and Hunter Evans, and Kaitlyn Stintsman, a great granddaughter Harper Cookson, and many nieces and nephews. Relatives and friends are invited to attend her funeral service at 1 PM on Saturday, Feb. 16, 2019 at the J. Allen Hooper Funeral Chapel, 41 W. Trenton Ave., Morrisville, PA. The Reverend Wendy Bellis, Pastor of the Morrisville United Methodist Church, will officiate. Her interment will be private. Friends may call Saturday from 12 Noon until time of service at the funeral chapel. In lieu of flowers, memorial contributions, in her memory, may be made to the National Kidney Foundation, www.kidney.org.